Tic Tac serving sizes are a lie! 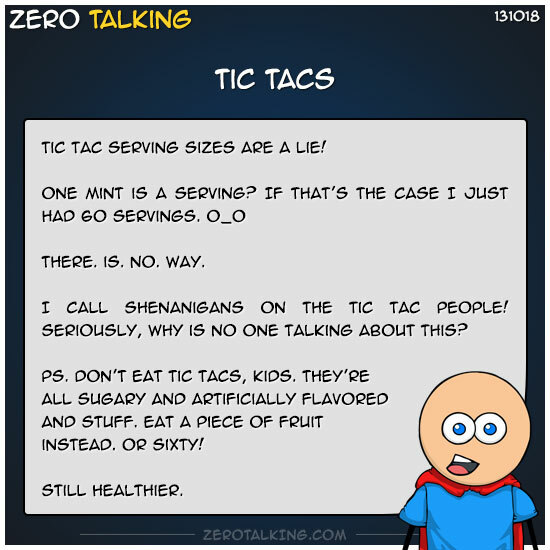 I call shenanigans on the Tic Tac people! PS. Don’t eat Tic Tacs, kids. They’re all sugary and artificially flavored and stuff. Eat a piece of fruit instead.